Real estate problems? We have REAL solutions! Do you have a property to sell?Complete a property profile today! We would love to help you sell your property. INVESTORS - gain access to exclusive inventory and add quality properties to your investment portfolio. Join our buyer's list! 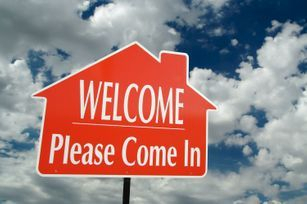 HOMEOWNERS - AND SOON TO BE HOMEOWNERS.....Search for properties and schedule a showing with us. There can be various reasons for your decision to sell your house fast. Financial difficulty can be the most obvious one. In any case, selling the house through traditional means is often too slow a process for many people to feel comfortable with. And suppose you are planning to shift to a different place, it happens that you would like your house to be sold off as to generate cash sufficient to help you out with your plans. Apart from that, there can be other good reasons for you to want to go for a quick house sale. And often, you may want to sell house fast to get on with your plans faster. Lingering on for months altogether in the hope of potential buyers to take an interest in your property and buying it out at a desirable price may be too long in the coming and too long to bear. Learn how to sell your property fast with this awesome report listed below. "31 Ridiculously Simple Ways To Sell Your Property Fast in Baltimore"